The Advertisers Activists Collective (AAC) was launched by AI in early 2016 as a means to reach out specifically to the advertising industry in Africa on LGBT issues. In 2015, AI launched the Destabilising Heteronormativity project which aims to improve access to health and other human rights for people in Africa who are lesbian, gay, bisexual, queer, transgender, intersex, or gender non-conforming (LGBTIQGNC) and all other forms of sexual orientation and gender identity and expression (SOGIE) that exist. The AAC is the arm of this work that works specifically with the advertising industry. The #EqualityChallenge advertisers’ guidelines are meant as a framework to help advertisers, marketers, businesses and SOGIE (sexual orientation and gender identity and expression) activists work together to make equality, dignity, freedom and security a reality for the millions of LGBT people living in South Africa and the rest of Africa. Together, we can create new understandings of society that include everyone, that will help South Africa’s constitution, the African Charter on Human and Peoples’ Rights and the Universal Declaration of Human Rights be more than hopeful words, and that can spread the values of inclusion and human rights for all, enshrined in these legal instruments, to societies throughout Africa. Advertisers, marketers and businesses can improve outcomes for individuals, businesses and society by being equality allies, and by considering the effect their messaging has on the LGBT community. Countering stigma and regularly showing LGBT people in non-discriminatory ways in ads will reduce violence and improve the safety, health and social inclusion of the LGBT community. Ad agencies should create, innovate, and take risks. They should be on the right side of justice and create work that matters and that helps, rather than hurts. Knowing that advertisements shape how society views itself, and how people treat others, advertisers and the businesses they represent should create messaging, campaigns and social experiments that break down stigma and promote equality. They can and must also call on the public to be proponents of LGBTIQGNC (Lesbian, Gay, Bisexual, Trans, Intersex, Queer, and Gender Non-Conforming) equality – from changing the way people think about LGBT people, to inspiring them to be allies, to convincing them to not be bystanders to, or worse, perpetrators of, discrimination. The world needs creativity, guts and conviction in abundance from those who shape how we see the world. Join the AAC: Email and ask to join the Advertisers Activists Collective. We can assist you with the content and visuals of your adverts and can generally offer expert support on lesbian, gay, bisexual and transgender issues. Advertisers in Africa have an opportunity to be on the forefront of LGBTIQ(1) equality, says Accountability International. The organisation, through its Advertisers Activists Collective (AAC)(2), has just published a set of five “#EqualityChallenge” guidelines (3)intended to help advertisers, marketers and businesses in Africa improve the depiction and representation of LGBTIQ people in ads. “Besides the exciting and powerful opportunity that advertisers have to promote equality, advertisers and business leaders also have a clear responsibility to avoid any messaging that discriminates or stereotypes,” says Lucinda van den Heever, Project Manager of AI’s Destabilising Heteronormativity project. Van den Heever says that the protection of people with diverse sexual orientation and gender identities and expressions (SOGIEs) is outlined in key global and regional commitments, resolutions and legal frameworks including the South African Constitution(4), the African Commission on Human and Peoples’ Rights’ Resolution 275(5) and the Advertising Code of Practice of the Advertising Standards Authority (ASA) of South Africa(6). The #EqualityChallenge asks advertisers to 1) do no harm (not to stereotype or stigmatise); 2) show the world as it really is (showing a diversity of SOGIEs); 3) push LGBTIQ diversity in culture and religion (and in ads that depict cultural, faith, religious or spiritual settings; 4) build their LGBTIQ teams and alliances; and 5) further education amongst themselves and the public about LBGTIQ rights and issues. AAI launched this collaborative effort with advertisers when they convened creative directors and executives from nearly a dozen of South Africa’s top advertising agencies in Cape Town in 2016, seeking to create a dialogue and partnership to end LGBTIQ-stereotyping and stigma inducing advertisements and to inspire advertisers to become change agents for equality. The King James Agency, a 20-year old independent South African creative agency, was the first to endorse the guidelines. Founding Creative Partner, Alistair King, has been an ambassador for the AAC since 2016 and has pledged to help motivate other agencies to follow suit. Another South African advertiser which has welcomed this effort is Joe Public United. The agency was recently in the news for creating a groundbreaking and inclusive ad for Nedbank, which has since gone viral, and which includes many diverse characters – including a woman with disabilities and a trans woman(7) . Earlier this month, AAI and the AAC presented the first-ever training on the #EqualityChallenge guidelines to 35 members of Joe Public’s creative and human resources teams. AAI and the AAC are welcoming all advertising agencies and businesses to endorse the guidelines and will be reaching out to agencies and businesses working in Africa in the coming months, offering trainings on the #EqualityChallenge and on how they too can be allies in the movement for LGBTIQ equality. Accountability International (AI) and the Advertisers Activists Collective (AAC) use the shorter and well-known abbreviations “LGBT” or “LGBTIQ” to refer to Lesbian, Gay, Bisexual, Trans, Intersex, Queer and Gender Non-Conforming people (LGBTIQGNC) and all people of minority sexual orientation and gender identities and expressions (SOGIEs). AAC is an informal body of NGOs, activists and advertisers who meet and collaborate to promote LGBTIQ equality in advertising. NGO partners include AIDS Accountability International, AMSHeR, Gender DynamiX, House of Rainbow, INERELA+, Southern Africa Trans Forum and the University of the Witwatersrand. The AAC is part of AAI’s Destabilising Heteronormativity Project and is supported by the Ford Foundation. Accountability International, as part of the Advertisers Activists Collective* (AAC) & Destabilising Heteronormativity Project, has been working with advertisers to promote LGBT** (Lesbian Gay Bisexual & Trans) equality & the positive-visibility of sexually diverse people in advertising across Africa. This refers both to ending stereotyping in advertising and depicting LGBT people positively in ads, so that ads are more representative of society, and less hetero-normative and cis-normative. Joe Public United is one of the advertising agencies we’ve been working with, and we are thrilled to share this new and groundbreaking ad, created by Joe Public, for Nedbank, one of South Africa’s largest banks. The Nedbank Money App ad celebrates equality, freedom and creativity and represents South Africans with diversity and open-thinking at the forefront. Whether one is looking at South Africa as a whole, or at Nedbank’s customers, we are a diverse people and this Nedbank ad reflects this. 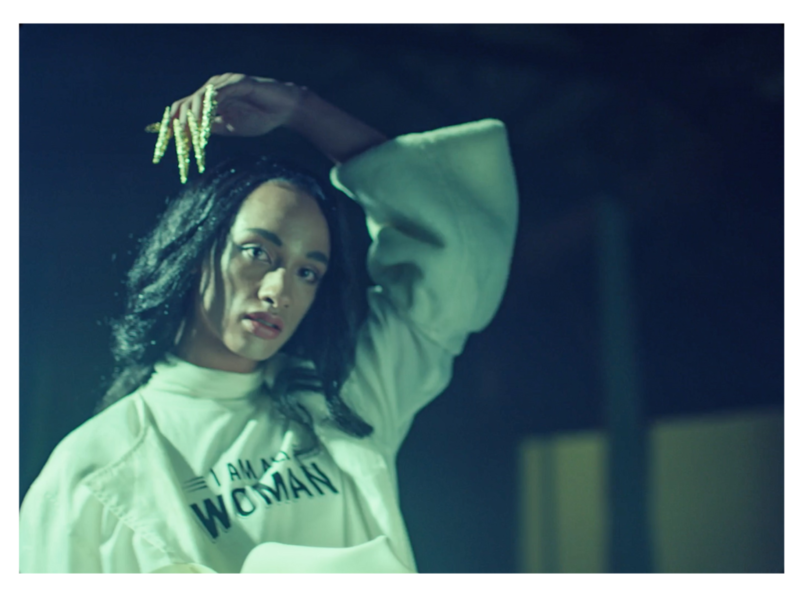 Showing all kinds of South Africans in this poetic and inspirational ad, from a trans woman to a person with a disability, Nedbank is not only representing the diversity of its customers, but also promoting equality by showing people who too often are left out of the media’s portrayal of our world, particularly in Africa, and doing so in ways that are both non-stigmatising and empowering. This ad also embraces intersectionality – joining race, sexual orientation and gender identity (SOGI), socio-economic status, disability, gender, and age. Click on the image below to watch full advert. * The Advertisers Activists Collective (AAC) consists of advertisers, marketers and activists, who work together to promote LGBT equality in advertising, especially in Africa. The NGOs that are part of the AAC include AI, Gender Dynamix, The Southern African Trans Forum, the University of Witwatersrand, AMSHeR and House of Rainbow. The Destabilising Heteronormativity Project is supported by the Ford Foundation. *AI uses the short and well-known LGBT or sexually diverse terminology to refer to Lesbian, Gay, Bisexual, Trans, Intersex, Queer and Gender Non-Conforming people (LGBTIQGNC). At a dinner in March 2016, activists met with EDs, Creative Directors and senior creatives from nine of the top ad agencies in SA: Joe Public, King James Group, 140BBDO, Saatchi & Saatchi, Quirk/Quirk Digital, The Creative Counsel, Ninety9cents, M & C Saatchi Abel and Jupiter Drawing Room. The aim was to engage these thought leaders on how advertisers can better depict and reach LGBT communities – not only to promote equality, but to be able to better reach the large LGBT market, an important and powerful demographic with buying power and brand awareness. AAI hosted the Let’s Eat Together Dinner to get advertisers to understand the need for them to play a pivotal role in LGBT rights becoming a reality. Following the dinner, we continued working closely with King James Advertising and Alistair King to identify opportunities and best next steps.